When it comes to online privacy you probably fall into one of two camps – you either don’t sign up for services because you’re concerned about giving too much away or on the other hand you post anything and everything wherever you can so that anyone can see it. Facebook is the “go to” place for Governments and hackers to turn when they want to investigate someone’s online trail so you should put some more thought into what you are posting and who will be able to view it. So what kind of data does Facebook keep on you? Besides the obvious information that you upload and write on Facebook, there is a lot of other information Facebook keeps. For example, Facebook keeps track of every visit or ‘session’ you make. This includes the time you log in, what you post and view, what ads you click on and what IP address you are connecting from. If you want to see the full list of information Facebook tracks, take a look at their page called “Accessing Your Facebook Data”. On this page you can see exactly what information is tracked along with how you can view this data. Much of the data Facebook tracks is part of your profile – the emails you send, chats, pictures and wall posts. However, some of the data mentioned above such ad ads clicked and IP information is only available in an archive package. If you want to download this data make sure you are logged in. Click the gear icon on the top right of the page and select Account Settings. On the General page, click the link ‘Download a copy of your Facebook data’. Once you’ve entered your account password, Facebook will gather the data and email you when it is ready to download. I ran through this exercise to see just what Facebook knows about me. Once I received the notice my download archive was ready I downloaded it and opened it up. Inside the zip file were various HTML files for various topics – sessions, friends, contacts, events, wall posts, etc. I was a bit surprised to find some of my work contacts had somehow managed to get uploaded to Facebook – likely from my cell phone. In any case, it was a good exercise to see exactly what Facebook knows about you. Depending on how protective you are of your data, you may be surprised at what data Facebook is tracking. If you want to better protect your data there are several steps you can take. Strong passwords – Make absolutely sure you use a strong password. Facebook accounts can have a lot of deeply personal information in them – don’t protect that data with a simple password. Try to use at least eight characters and a mix of uppercase, lowercase, numbers and symbols. Don’t upload data that you don’t want seen – even if you are careful about who you share information with, it’s still not a good idea to upload compromising information, pictures or video. It only takes a simple mistake to make that sensitive data public. Many employers will view Facebook profiles of potential hires to see what kind of information they can glean from the public information posted. Make sure you utilize Facebook’s controls to determine who can view your data. 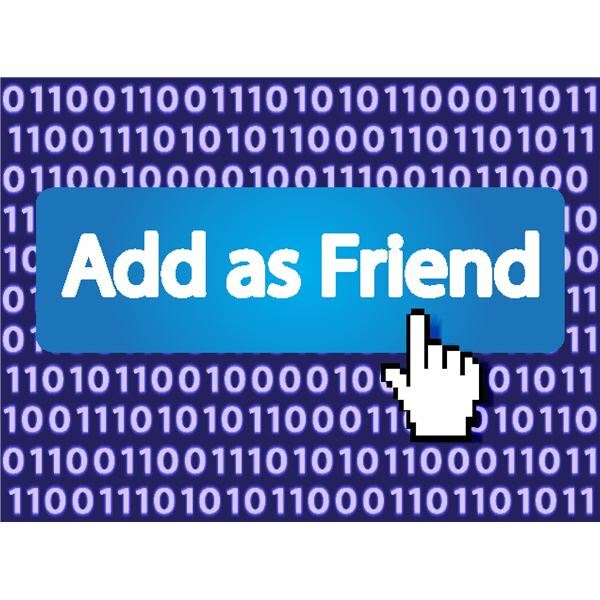 Simple controls to allow access to only Friends, Friends of Friends and anyone exist. Be sure to use them to your advantage. Even if you aren’t overly paranoid about your data, it still is a good idea to download your Facebook data every once and a while to see if any surprises pop up. If you still don’t like the idea of your Government or a hacker accessing your data, keep in mind you always have the option of closing down your account and removing all data. Removing your account is the only way to be sure no one can access that data.